We went down from our boat and walked to beach on the island. After that, we arrived on the island, there are some trees and plants that growing up on the island. 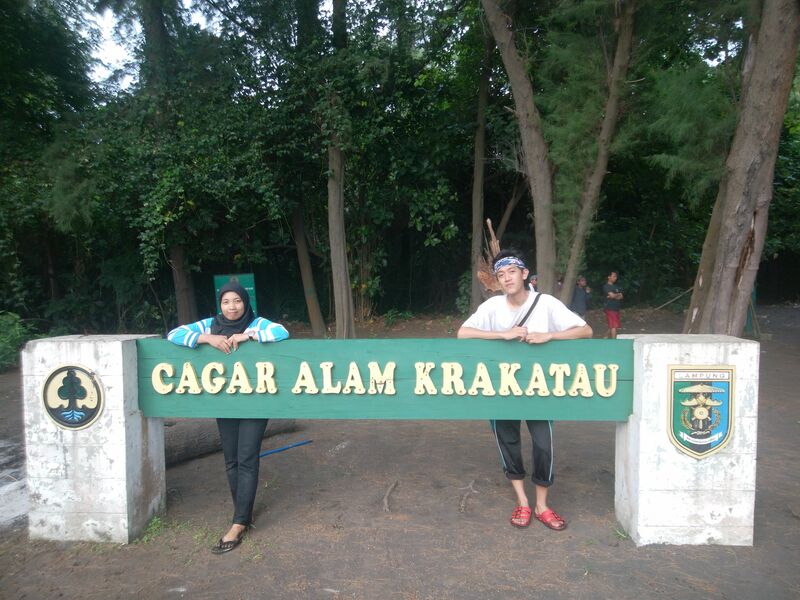 There is a wooden house as office of Krakatoa observation. We sat on laying wooden and our tour guide and their team gave us breakfast. 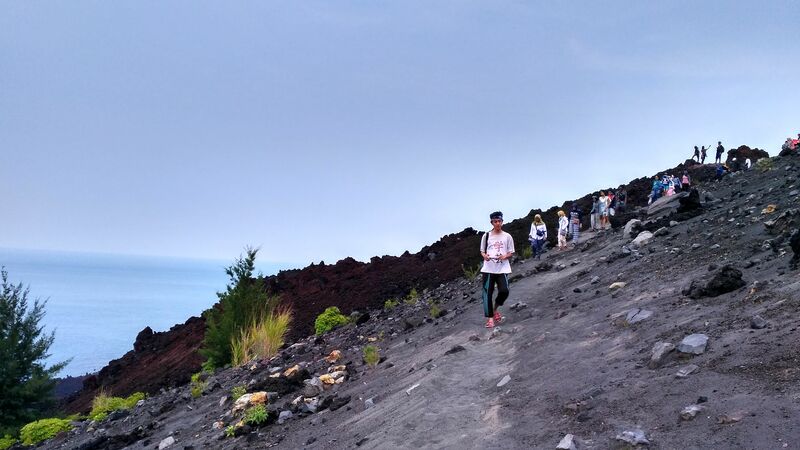 After that, we began to hiking and climbing the Anak Krakatoa. First, we chose to sideways to climb the mount. It is not cliff area, but it is complicated road. 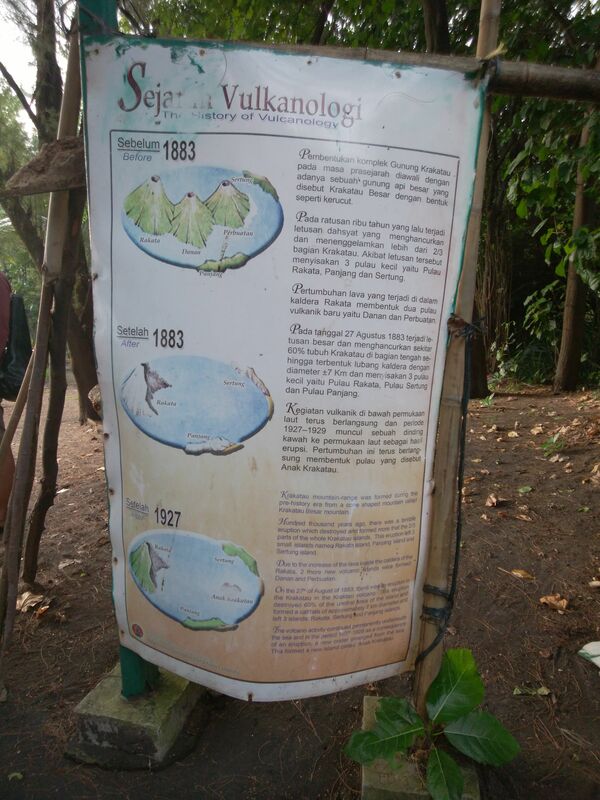 It is because we walked on vulcanic rocks and sand area. We and also some of our friends did not wear shoes. 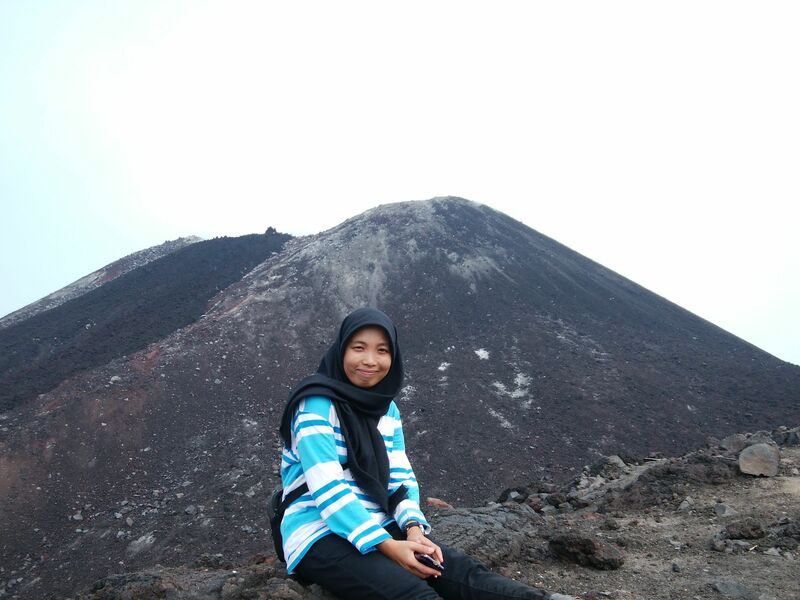 So, it was not easy for us to walk or climb the mount. Some people took the sandals off and the others kept walk with their sandals. We must strive more to be able to get the foothills. It was pretty tired for us who rarely climb a mount. But it is okay, we were happy and dazzled when we were arrived on foothill. 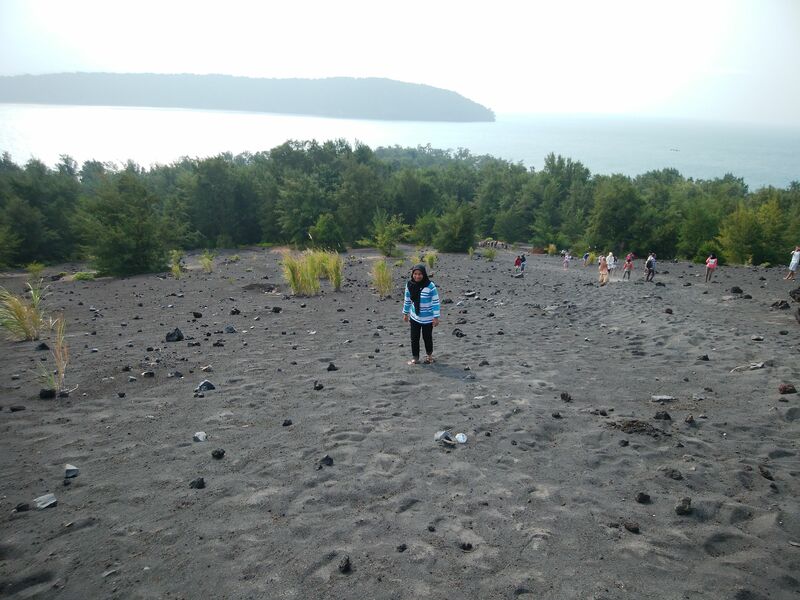 From this place we can see Anak Krakatoa mount clearly and also we can see Krakatoa sea area widely. It is amazing. From this area we took some photos and observe the rocks. 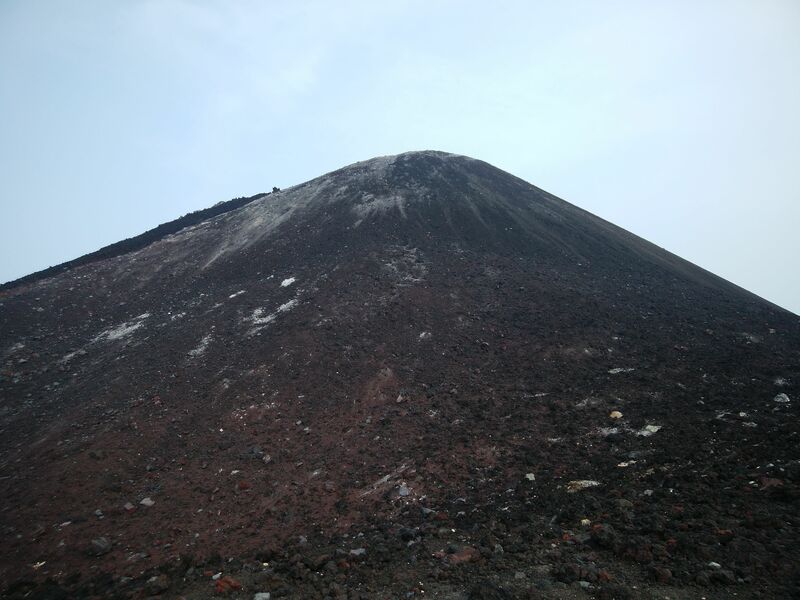 There are some volcano materials that we can find. Besides that, we know some plants which can growing up on the foothill and also cliff area. After taking photos and seeing the scenery, we decide to go down to the beach area. We took a different road when coming down from the foothills, it is easier than when we climbed before. After all people ready, we went home. 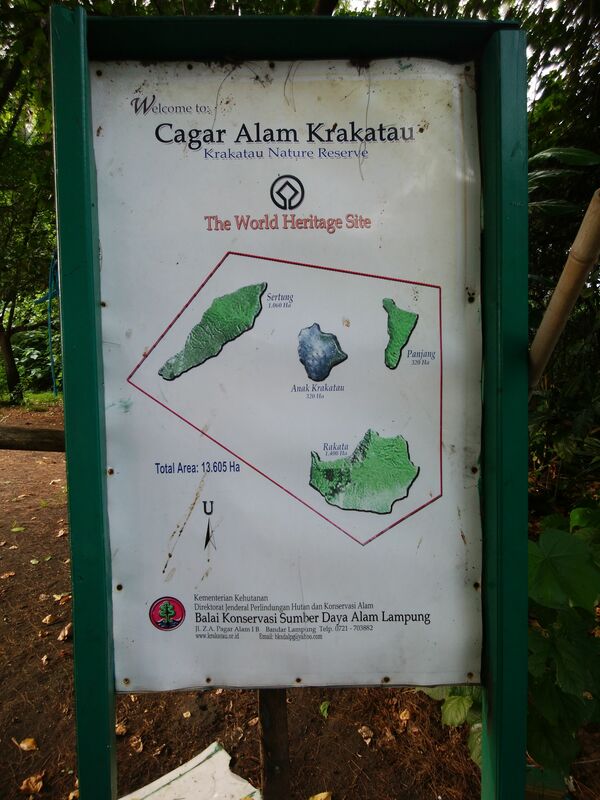 Before it, we stop at a lagoon, Lagoon Cabe. We did snorkeling at the lagoon. 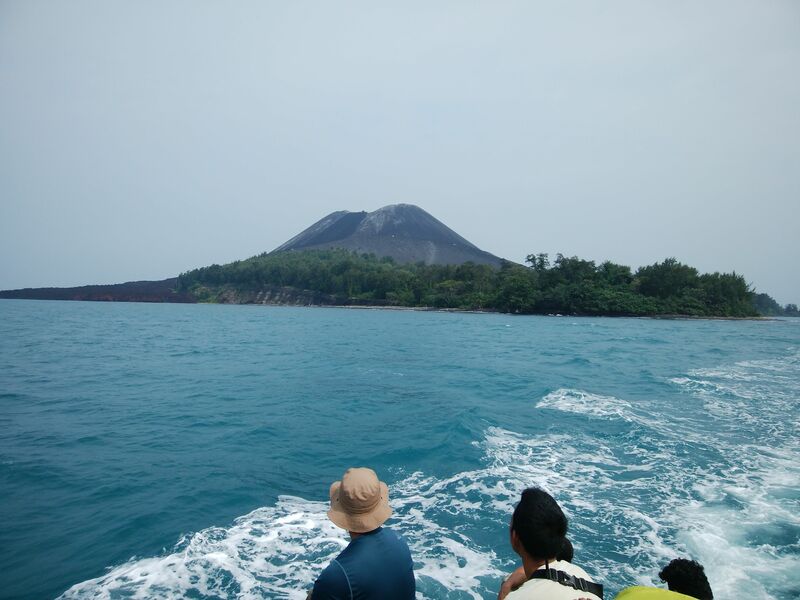 It is pretty sea with crystal clear sea water and there are some sea biotas that can we find when we do snorkeling. 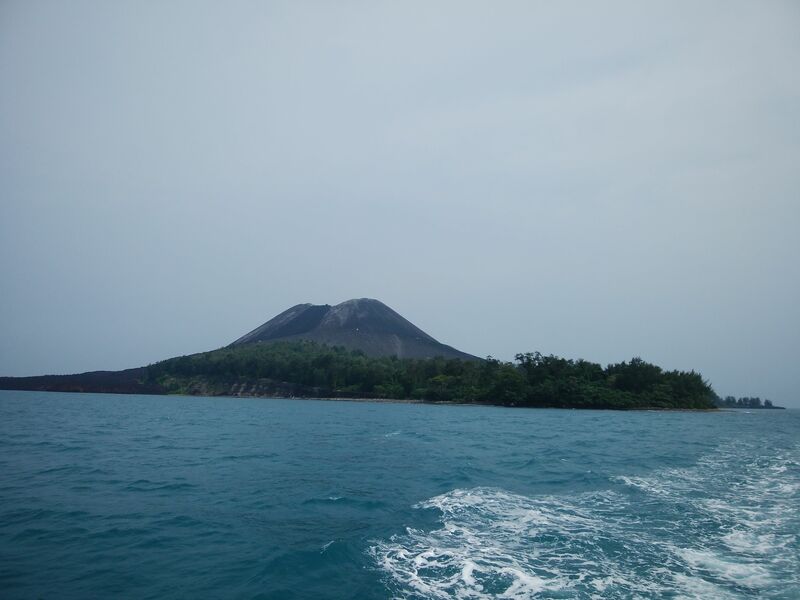 Anak Krakatau is still often eruption because the volcano is till active and growing. 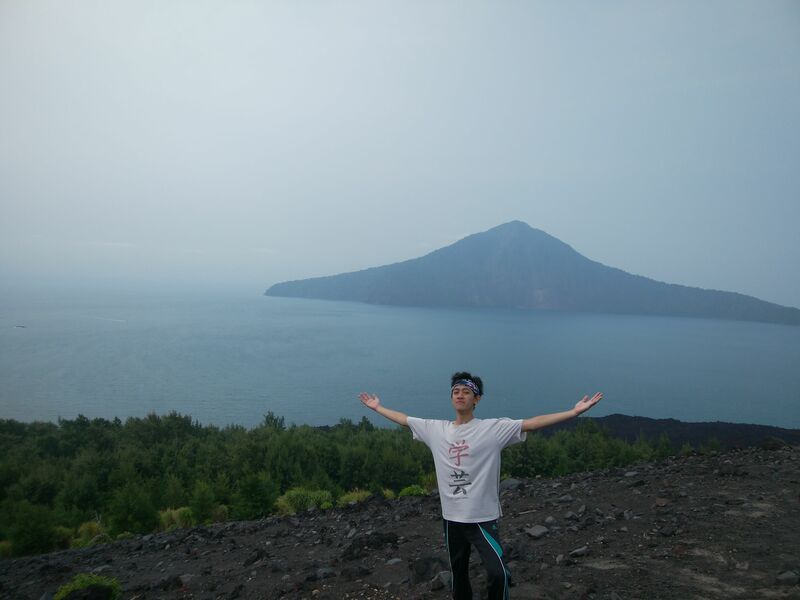 but Thank God, It is amazing trip because we get lucky day to visiting the mount.